There are many document control mistakes your company can make if not using document control software, but first off what is document control? Document control is required in order for a Quality Management System to be compliant with ISO 9001. The same is true for other standards, guidelines, and regulations — the U.S. Food and Drug Administration (FDA), Good Manufacturing Practices (GMP) , the Information Technology Infrastructure Library (ITIL), Sarbanes-Oxley (SOX), and many other laws and guidelines require that you have control over your documentation. Document control has been around for as long as people have conducted business. In the old days, it was all about controlling paper documents. Then along came electronic documentation, and a whole new world was opened up. Still, many organizations have decided to stay with paper-based systems, even though these systems can lead to these many common document control mistakes. With all their flaws, paper-based document management systems are familiar to many of us. We hate things that are unfamiliar to us or that take us into unfamiliar territory, even if what we have isn’t working all that well. With that in mind, are any of these document control mistakes familiar to you? The first of the document control mistakes is thinking your files are backed up. Sometimes, paper files are backed up; sometimes, they’re not. The only way to know if your files are backed up is when you attempt to recover a file. When was the last time you did that? How long did it take? Hours? Days? Never? Most people use Microsoft “Word”. Word doesn’t have a good revision system, or “version control”; prior to Word 2014, it did, but that feature was removed. If yours is like most companies, you’re saving your documents with new names (e.g., “My Document rev 1.doc”), rather than overwriting them (you hope). This is far from a foolproof technique: at some point (and you may have experienced this), someone’s going to used the “Save” command instead of the “Save As…” command. Then, you have to hope the earlier version was backed up (see #1). 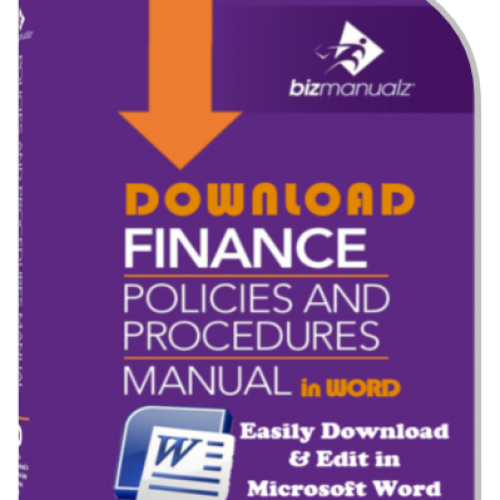 OnPolicy policy procedure software automatically saves each version of your documents for you, separate from the originals. Shared drives (HDD, flash drives, etc.) are easy to implement. Just purchase a network drive and connect it to your network. Now, do you give everyone in the company access to the new drive space? Who is in control of the drive? Setting up access controls can be a time-consuming issue, so many companies don’t set any access controls. There are no restrictions on what anyone can do. The result? Documents are revised, renamed, moved elsewhere, or even deleted. If you don’t control access to documents, you don’t have document control. OnPolicy policies procedures management software provides access control to your documents by department, category, and by user role (“Readers” can’t change documents, for example). 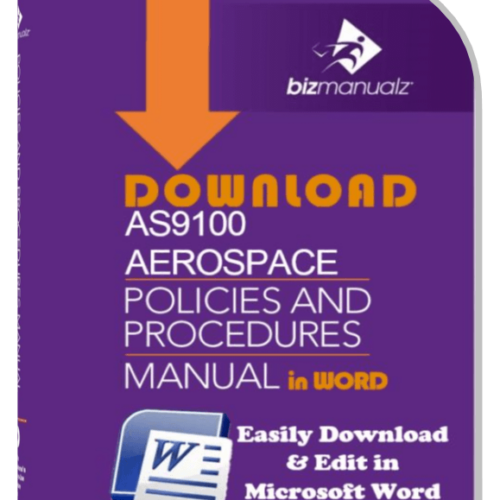 If your employees are writing procedures “from scratch” every time, you invariably end up with different styles, formats, and structures. The ensuing lack of consistency could confuse anyone trying to use your documents. Document templates provide a standardized format. Even better? 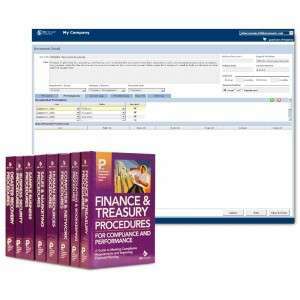 Having ready access to a well-stocked library of best practices that you can edit and make your own. 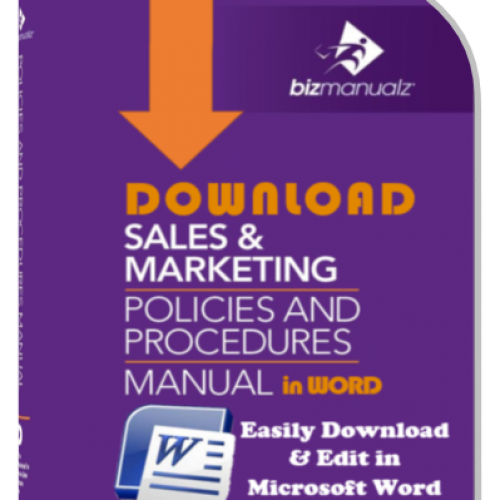 Bizmanualz has always provided standardized content in MS-Word format for easy editing and customization. 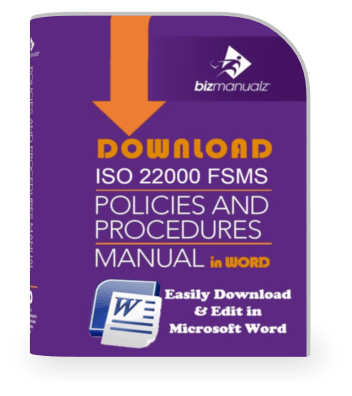 This content is also available for use in the OnPolicy document management system. Paper documents aren’t easy to distribute to reviewers. The reviewers mark up their paper copies and give them back to you and it’s up to you to decide which changes to incorporate. It’s also up to you to incorporate the revisions in the document and, if necessary, resubmit the document with changes to the reviewers. And, if you have several offices, warehouses, etc., spread out over a large area, document review is that much harder to coordinate…and get done on time. If you had all this in a system like OnPolicy, you’d route your documents to the reviewers electronically, they would enter their changes electronically, and you would edit them electronically. The more spread out your workforce is, the more benefit you derive from a system like OnPolicy. 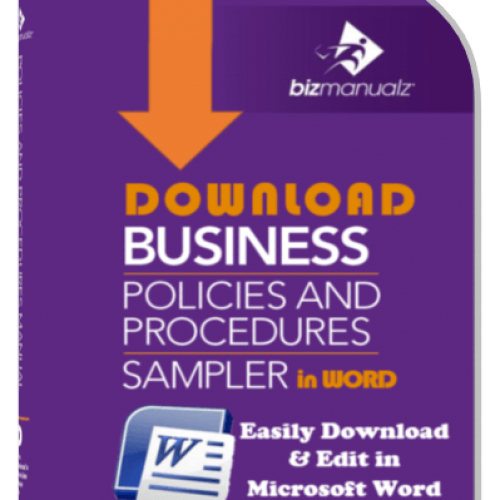 Many companies use MS-Word to write their policies and procedures. 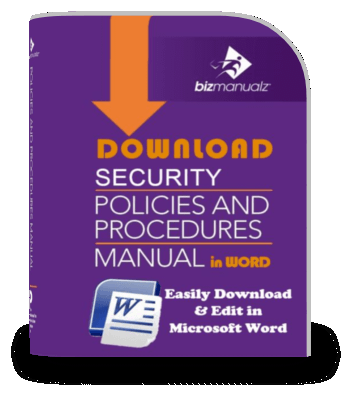 If you distribute Word documents, you have to remember to write-protect them. 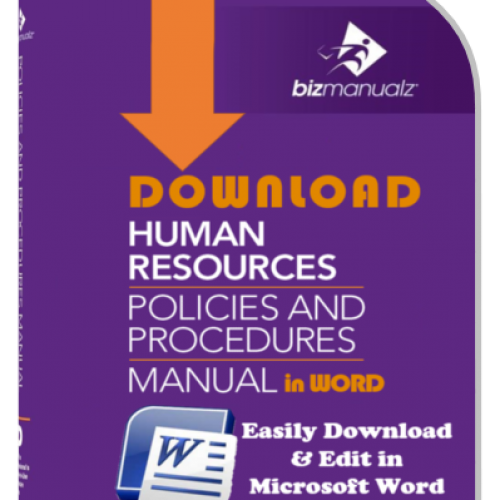 Unprotected, your documents can be changed by any employee without others being aware of the changes. To reduce the likelihood of unauthorized changes, OnPolicy distributes documents for general use in Adobe format (“.pdf”). Adobe Reader is available to everyone for free, while you have to buy licenses for Adobe Professional; this helps you maintain control over documents and keep unauthorized changes in check. Paper and three-ring binders have been used for decades to house and distribute policies and procedures. Paper documents are difficult to control, though, and people can make changes to them without anyone else’s knowledge. Papers get lost and forgotten. Today, documentation is moving onto the Internet. More and more people make regular use of laptops, smartphones, and tablets (they’re not waiting for their employers to provide the tools, either). Eliminating paper saves trees, improves document control, keeps your employees better informed, and allows for a more effective management system. It is a lot harder to stay on top of who has what version of your documents when they’re on paper. It’s not uncommon to find an old employee handbook that was given to an employee on their first day…10 or more years ago! Electronic online controls, like those you find in OnPolicy, ensure that all employees have only the latest and most accurate version of any important document, when and where they need it. Many organizations decide to design their own document control software. SharePoint is the most common platform. But SharePoint is not a document control system and unless you are a SharePoint designer, you will likely end up with an IT project over time and over budget, with software designed by software engineers who are not compliance and control experts. Many such projects are abandoned, eventually. It’s much easier to purchase a system designed by document control experts than to build your own software product. The last of the document control mistakes is audit findings. The most common Quality Audit finding is “lack of adequate document control”. Just about any quality audit will turn up a document control finding. Using electronic document control software virtually eliminates such findings. Document control software automatically prompts your users to review, approve, release, and even read documents. 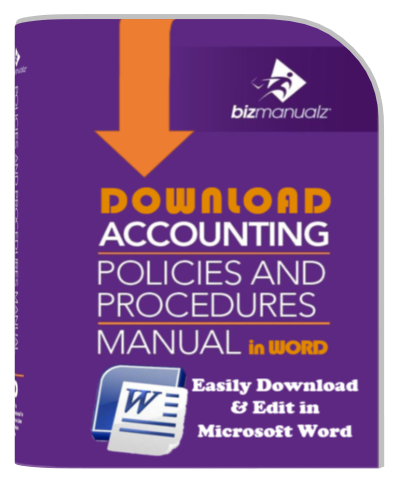 Documents remain legible, they’re continually backed up, they’re access-controlled, and you’re in compliance. What About Duplicating Document Information? We need to make sure the right document information is available to people when they need it, but sometimes we put information in too many places — where it is not really necessary and not really used. We just do it because it seems like a good idea at the time, or it makes things look official, or because we are just over-doing it. When document information is dynamic, you need to consolidate it as much as possible, because if the information is unnecessarily duplicated in a number of places, then every time it changes you have to locate everywhere the document information exists and update it. 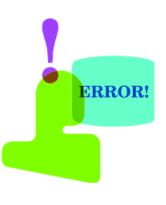 This leads to oversights and errors, which then leads to outdated or incorrect information floating around. We encountered this recently on some of our document lists that included revision level and revision date. We use these lists for document control. For example, we have a list of work instructions in the master work instruction file, so that when a work instruction is updated, we know where “deployed” copies of the work instructions are kept so they can be replaced with the latest revision. And we like to have living documents, meaning we update them frequently. But every time, say, a work instruction is updated, the list had to be updated too. Sometimes it wasn’t. So now the list had wrong document information. But the point is that it was unnecessary to have revision information on the list. We do not use the list to track revisions, we use it to track location (which rarely changed). Why have revision information there? It is an unnecessary duplication of information. We took the revision information off, and made updating work instructions (and other documents) easier because there is less overhead activity associated with it. And less wrong information floating around. 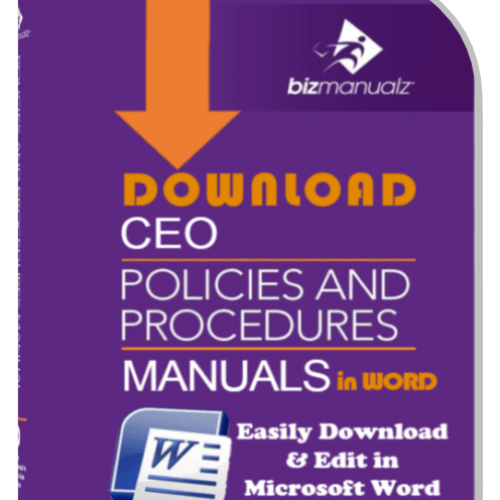 Now, you know how to eliminate and prevent the Top Ten Document Control Mistakes — with “OnPolicy” software, from Bizmanualz. 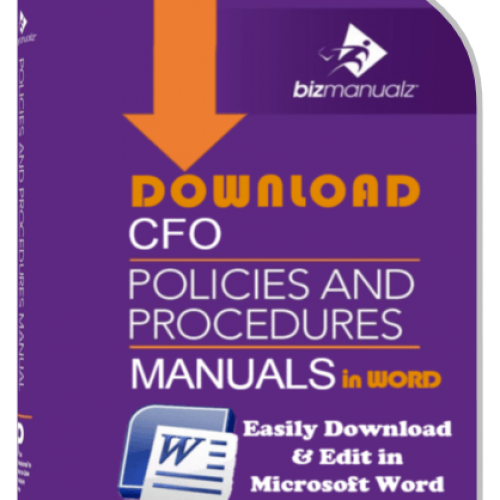 Try OnPolicy FREE for 30 days — find out how you can make managing policies, procedures and forms much easier.